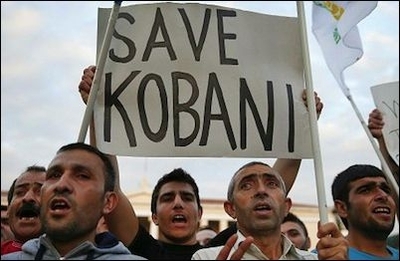 Regional and global powers are indifferent to the fate of the Kurds of Syria. On Monday, the Kurdish authorities ordered the evacuation of all remaining civilians from the city. Journalists are not being permitted to enter. The forces of the YPG (People's Protection Units) were preparing to fight the jihadis for every street of the city. Islamic State has now integrated the heavy armor and artillery that it took from the garrison in Mosul and from Syrian President Bashar Assad's army in the bases of Division 17 and Tabaqa. The Kurds have only light weapons, some machine guns, and a few rocket-propelled grenades. Turkish hostility to the embryonic Kurdish autonomous zones in northern Syria is the key to understanding Western and regional indifference to the fate of Kobani.